Older Australians will get new ­rewards for finding work and strong incentives to put off their retirement as the federal government recasts its controversial pension savings in a wider budget reform aimed at boosting the workforce at the same time it helps to cut the deficit. Federal cabinet has agreed to make faster payments of up to $10,000 to employers who hire older Australians as part of an overhaul of job programs to help tens of thousands of people back into the workforce. A separate budget measure will give people approaching ­retirement a new incentive to stay at work for a few more years in the knowledge they could collect a bonus when they choose to claim the Age Pension. The budget will also spare about two million retirees from an unpopular change to pension ­indexation, making the savings instead from fewer than 400,000 people with substantial private ­assets. The tighter pension rules will mean that most of the burden for the savings will come from retirees who not only own their home but also have hundreds of thousands of dollars in savings, real ­estate and other investments. Ministers will argue that the new approach is fairer than the ­indexation changes announced last year, which would have seen a gradual fall in the pension when compared with wages over the long term and would have raised fears of pushing older Australians into poverty. The new approach represents a dramatic softening in Tony ­Abbott’s message on work and ­retirement, offering help to those who want to work and giving a ­reprieve to many elderly voters who were alarmed at the prospect of a cut to their payments. A major initiative in the May 12 budget will be a more generous payment to companies that hire older Australians, fixing problems in a program called Restart to make it easier for mature workers to get jobs. Employers currently receive $3000 six months after they have hired a worker aged 50 or over and a further $7000 in stages over the next 18 months, but these payments will be accelerated in the new scheme. Australians over 50 currently have to wait for six months on ­income support or the pension ­before they qualify for the job ­incentives. That will also be shortened under the new rules. Another new program will be linked to the scheme to offer ­incentives for training so that older workers will get more help to retrain and take up a job, helping to prevent them falling back on ­unemployment benefits or ­pensions. Joe Hockey has taken the lead on the assistance for mature workers in the wake of a report from the Human Rights and Equal Opportunity Commission that found one quarter of workers over 50 felt they had been discriminated against because of their age. The Treasurer warned last week that discrimination was far too prevalent, while signalling more recently that the budget would include new measures to help those workers. 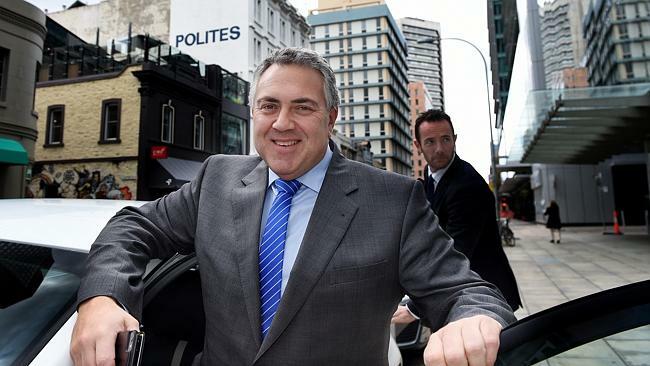 “It is a hugely important issue, giving people the chance to work longer,” Mr Hockey said on Tuesday, adding there were a “few things” in play in the budget to ­address the challenge. The Weekend Australian has confirmed that the overhaul of the Restart program is one of those new actions and that other measures have also been discussed to give workers more incentives to put off retirement. A key issue is whether people who keep working beyond the age of 65, and therefore ease the burden on the public purse, deserve a reward when they ultimately choose to claim the Age Pension. Mr Abbott praised an old policy that offered new pensioners a lump sum of up to $49,000 if they had stayed in work and deferred the pension. Early last month he said that idea was “certainly worth looking at”. Labor closed the Pension Bonus Scheme to new entrants in 2009 because data showed participants would have continued working anyway. Mr Abbott has been considering other ways to achieve the same objective.